It’s been years since Christian Dior has been crowned the best-selling cosmetic brand in Thailand and despite the stratospheric rise of Korean beauty and influencer-endorsed hits, our favourite French beauty house continues to court generations of beauty lovers with its fabulous range of innovative skincare and foolproof makeups. 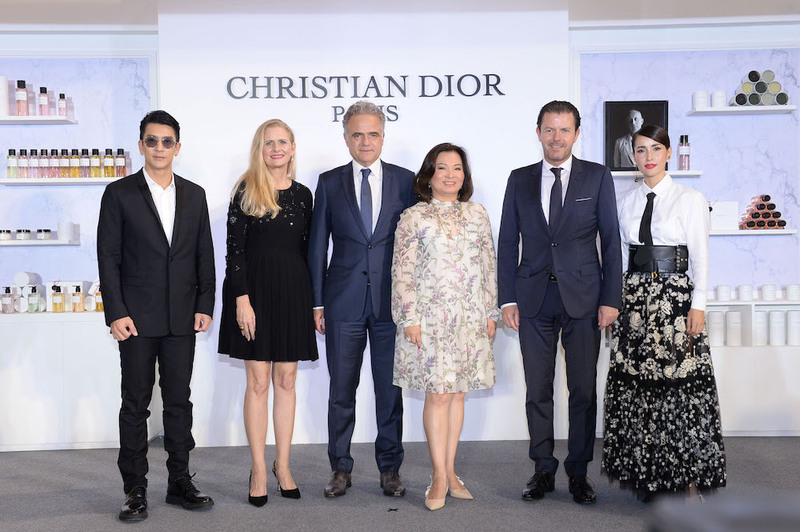 To reinstate its success, it opens not just one, but two new Christian Dior Boutiques at the new shopping landmark that is Iconsiam. The first, Christian Dior Boutique, is a paradise for skincare, makeup, fragrance lovers and Dior devotees. Housed within the massive space, the second largest in Asia Pacific next to China’s, are thousands of makeup, skincare and perfume products, curated and displayed on shelves and stands in a way that cruising through them are both fuss-free and delightful. Each axe of Christian Dior beauty features exclusive service or product that you can only enjoy here. For fragrance, the boutique has a Fragrance Specialist to help you search, and discover the scent that truly reflects your, or your special someone’s, personality and character. The makeup axe features a Brow Designer Service where you can get your brows groomed in the chic Dior style. In addition, the Christian Dior Boutique at Iconsiam will have store exclusives for those who desire only the collectibles all year round, starting with the Limited Edition Rouge Dior Saint Valentine — an exclusive lip collection featuring hearts and lucky stars embossed on the lipstick. The skincare axe comes with La Suite, a massage room where you can enjoy Dior Ultimate Skin Treatment performed by Skincare Therapist trained from Dior Institute in Paris. The second boutique, Maison Christian Dior, is a mecca for all perfume lovers as well as those looking to enrich their home with a touch of Dior’s timeless style. Designed with a special concept to evoke the atmosphere, both emotional and olfactory, of Monsieur Christian Dior’s house in Grasse, as well as his storied fascination with flowers and their enchanting scents, this gently-lit, white space gives you a feeling of stepping into the world of Christian Dior. Neatly arranged on shelves and white-coloured stands is an exclusive range of 22 fragrances created with a nod to Dior’s classic scents and rich perfume-making tradition. In addition to these olfactory desirables, Maison Christian Dior Boutique also features a collection of scented candles, gel foams for hand and body, body creams and perfumed soaps for those seeking to live a life in Dior. Special services like gift wrap with custom coloured rope and initial stamp is available for those looking to give your loved ones a gift of Dior. Both Christian Dior Boutique and Maison Christian Dior Boutique are located on MF, Iconsiam.